First Contact Entertainment shares tips for new players and some of the updates the team is working on. Hi guys, Shabs here, Game Director at First Contact Entertainment. We’re the developers behind Firewall Zero Hour — the multiplayer FPS that just launched exclusively for PS VR! First up, we’ve been so excited to see the overwhelmingly positive feedback from the Firewall Zero Hour community since launch last week! We have loved seeing all of your posts, comments, and livestreams. Thank you, everyone, from the bottom of our hearts. If you’re new to PS VR, you can play the game with a PS VR headset and either a DualShock controller or Aim Controller. Firewall Zero Hour is also currently available as a game bundle with the Aim Controller, so it’s the perfect opportunity to get both, if you don’t have them yet. Say you’ve just got the game. Awesome! If you’re new to VR in general, once you fire up Firewall Zero Hour, it’s great to experiment with the different comfort settings available for VR locomotion. In the game menu settings, you can toggle between smooth turning and snap turning. You can also change the “vignette” settings, where you toggle on/off blinders for sprinting. Stepping into the game. On your first outing, try out the Tutorial, then try out Solo Training for a few different maps. In Solo Training* you’ll go up against AI, and get a feel for what it’s like to be an Attacker or Defender. You can also experiment with different default loadouts and their weaponry (Assault, CQB, Support). Once you get the hang of different game mechanics, you’re ready try out Multiplayer Training. ** You and your teammates will play co-op, going up against AI and learning the value of teamwork by communication. Try out different Contractors in this mode and see how their Primary skills play out. Now you’re ready for Multiplayer Contracts mode — the creamy center of Firewall Zero Hour. In this mode, teams of 4v4 go head to head in public PVP, and the stage is set for unpredictable outcomes. You’ll experience what it’s like to play as an Attacker, and a Defender, as your role switches after every round. Strategize together in the lobby and throughout the match. Who’s staying together? Who’s going to flank? Who’s going to place mines by the laptop? Who’s bringing the revive pistol? Vocal communication with your teammates is crucial to your success. Experiment with different default loadouts. As a Defender, try the Support loadout, and lay your mines strategically around the laptop. Backs of chairs, tops of tables, and all around doors are fair game when it comes to mine placement locations. As an Attacker, the Assault loadout is great for a variety of maps, thanks to its mid-range assault rifle and powerful frag grenades. So you’ve been playing lots of Contracts, gaining XP and Crypto along the way. What are some other ways you can gain XP and Crypto in the game? Look carefully in maps — each match has an Intel pickup that any player can obtain for bonus XP, as well as stacks of Crypto coins scattered around the map. Weapon and equipment challenges are another great way to improve your skills and earn XP. Every time you activate an Access Point, revive a teammate, or take out an enemy with C4, you are earning XP and leveling up. On that note–did you know you can revive your teammates from afar? Just equip a Revive Pistol as a secondary weapon, unlocked at level 26. Once you’ve reached level 4, you can start experimenting with customizing your loadout in the menu. What to spend your Crypto on first? Try experimenting with different weapon attachments. How about a Red Laser Sight, a Suppressor, or a Grip? Perhaps you’re saving up for a whole new weapon entirely. The Kruger assault rifle is a favorite for long-range maps, like Docks and Warehouse. Continue to progress and keep leveling up. Unlock new Contractors. Suit them up to your liking, with camo, facepaint, and a weapon trinket. Is being quick-on-your feet is of utmost importance? Try playing as Diaz (unlocked at level 15), his Primary skill of “Double Time” allows for faster movement speed–or, try equipping his skill as the Secondary skill of one of your other Contractors. Are you ‘nades, ‘nades, grenades all day? The “Bang Bang” skill gives you an extra frag grenade. Is frantically looking for signal modifiers making you short on time to hack the laptop? Try equipping your Contractor with the Hacker skill as their Secondary skill, which allows you to initiate the laptop hack faster. 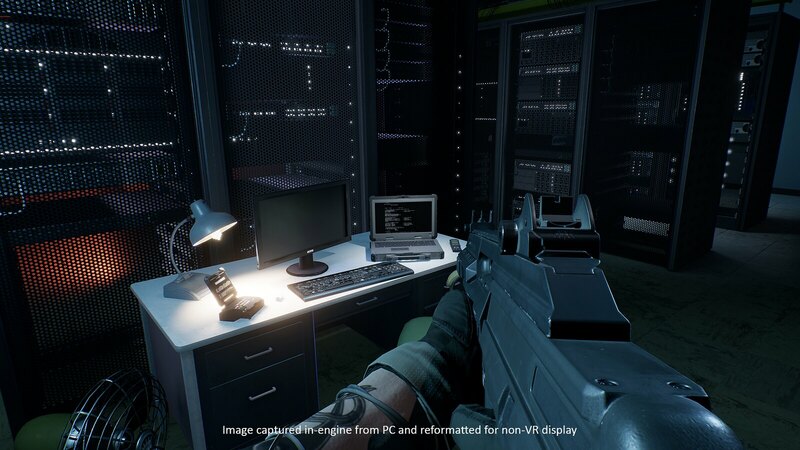 There are a vast number of things you can do to personalize the way you want to play in Firewall Zero Hour. Setting up a squad with squadmates: We’re continuing to evaluate and improving squad handling. We are aware that players who join as squads are having issues with their lobbies, and we are working hard on a fix that addresses this. Host performance: We currently use a peer-to-peer format, so please be aware that it is possible that quitting early may affect everyone else’s game. We are working on improved in-game messaging and a way to protect the loss of progression (Crypto and XP) for players when this happens. Lastly, we wanted you to know we are reading all the feedback we can, and our goal is to continue to improve the game so that it’s a great experience for everyone. We wanted to note that we are focused on supporting the game post-launch with additional new content, and will have more to share about that soon! Thanks again for playing the game and making the launch such an amazing experience. We can’t wait to play with you online in PS VR! 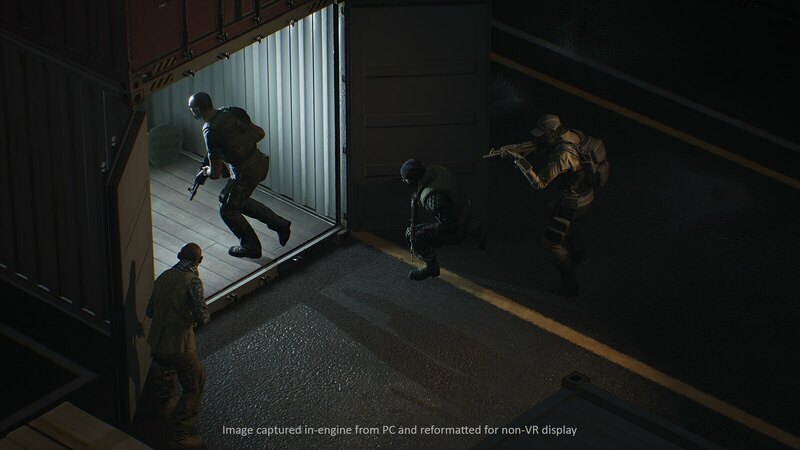 *An internet connection is required for all modes of Firewall Zero Hour, including Single Player Training Mode. **PS Plus is required for Multiplayer Training and Multiplayer Contract modes. Great work, First Contact! Your passionate approach to making the game you wanted to play, but didn’t see on the market has paid off for all of us. Thanks for continue to listen to the community and working to address our concerns. Fantastic game! It seems like I’m not progressing as fast as I’d like. Is this because I’m supposed to be playing PVP? I really prefer PVE, but I feel like I don’t get the gains I’d like. Is there a way to mute people? I feel like there should be. The vast majority of people I’ve played with are great, but people screaming at the top of their lungs is awful. Are there any PS4 Pro improvements? Is that a thing? It would be cool if it were. More modes, makes, weapons, and the ability to modify the default load outs would be stellar. Again—can’t say it enough, I love this game. I can’t wait to play it every day after work. Initially I ignored this game because Bravo Team from Supermassive Games didn’t turn out well, but one of my friends that gave this a shot regardless took an instant liking and convinced me to give it a try as well. Gotta admit, as simple as it is to repeat play the same few maps and 4v4 matches, it remains a fun time to continue to squad up and play each weekend morning. Has that Rainbow Six Siege co-op / competitive gameplay loop that is fun an satisfying, but with the higher immersion of VR. Also, easily best PSVR shooter I have tried so far. I hope the positive word of mouth keeps bringing in new players and this funds the developers to keep improving in all the areas it can still be made better. This is as close to the GoldenEye moment as FPS games are going to get for PSVR and it deserves that kind of success. This game is ridiculously fun with the aim controller. My only complaint has been waiting in lobbies for too long. Hoping this game has a long life ahead of it! In another community FB group, lots of posts relating to the drift problem on our aim controller! Of course, including me are facing this big big trouble that the vector of the gun always drift left or right automatically by itself during the battle, but no drift happens in the lobby!! Players investigated by ourselves! Providing lots of suggestions by ourselves! But not developer! Anyhow, suggestions may work to someone and some of us solved the trouble but many of us still have the serious drifting trouble. Many factors which may be affected e.g. lights, distance etc that we have tried all ways as best efforts as we can. (shakeing the controller as recommended can only fix for a while but it will drift back again and again!!!) So its not caused by the hardware or external factors, but the software!! I am pretty sure its the game /software problem instead of hardware problem becoz no drift happens when matching players in the lobby!! Please! Please fix this ASAP! Although I only got to play for a few days (my ps4 died labor day… waiting for the box, so I can send it in to the repair center), EVERY SINGLE PERSON that I encountered, save 1, reported that they were playing with the AimController aka NavController2.0. It is my suspicion that virtually everyone who has an AimController, also has a MoveController. As such, WE want added Move support; thereby giving us two hands, as the Aim is also a Move controller. This would for side arms, melee attacks, throwing grenades etc…. even placing c4 etc, opening doors; and possibly even reloading. As fun as it is pressing a button, to me, physically performing the action is far more immersive #BlindFiringFTW: So instead of pressing a button to switch to the pistol, one could pull the Move down from the “grip” would be, down to where the side holster would be (as if one was drawing a holstered pistol), then back up to aim and fire…. Rolling grenades could be done with a bowling motion, after having pulled it from your chest area… etc, etc. Congrats Devs for an incredible achievement. This is one of the best Coop games i’ve played in 30 years of gaming. A true game changer for VR. The core game mechanics are perfect and I’m positive you can build on this superb game engine. 1) Allow 3 games (Attack / Defend / Fight-to-Death) per session, but allow for XP/Crypto to be credited after each mission. 5) Allow for rank-related matchmaking (or scale XP rewards based on the cumulative rank of the team members, relative to the other team). I’m a bit concerned that the random newcomers will have no chance if they join a lobby set up by higher skilled squads. 8) In the waiting lobby, can we hold the actual gun we’ve selected and maybe shoot some targets? 9) Please make Smoke Grenade last longer and Noisemaker sound like real gunfire. Usually, when all Defend Team killed, the time will be changed into 1 minute. so, If Defend Team install modifier in the Very Beginning , then quickly use the grenade to suicide the whole team, Defend team will 99% WIN .cuz, 1 min is NOT ENOUGH for the Attack Team to search hack point location and hack laptop . to remove 1 minute mechanism ? or made the grenade safe from friendly ? or Act of Suicide or Friendly Fire decrease play’s Money & XP ? 2- Signal Modifier required too High Level to unlock. 3- Battle time is too short. 4-Do you have Nationality Prejudice ? and I’m noticed Nation Flag Patch Required SO HIGH LEVEL to unlock…and Different Nation required Different Level…is that Fair ? Can someone please tell the developers to make the games best out of 5. The wait time is horrible! Some matches last 1 minute and the wait time for te next match to start is over 3 minutes! WTF MAN!!! 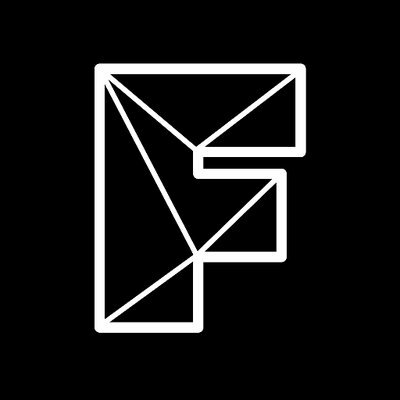 Why is First Contact hiring a Community Manager whose behavior was so egregious that he got a lifetime site-wide ban on Reddit? How can he be CM if he can’t talk to the largest PSVR forum in existence? He continues to behave quite poorly, both on Reddit, and in mis-representing himself to FC. Is this the kind of company and employees that represents what FC wants to be? The game is great – when it works. 1. Friend invites hardly EVER work. SUPER annoying when everyone is waiting for the last friend to join, but cant because of “network errors” or “cannot connect to host” when your 3 other friends have no problem getting in. 2. My loadouts reset literally twice a week. After setting all 7 loadouts and having to hit EQUIPT after every attachment, its a pain to have to keep doing it over and over. Forget add-ons to the game – fix the core glitches and we’ll be happy. I paid good $$ for the aim controller and game bundle, to get irritated EVERYTIME I try to play. I dont feel like this game was ready to launch. Please fix these issues!!! I am loving the firewall zero hour game play – great work ! Are there any future plans to include the ability to switch off / deactivate the building interior lighting at night ?Skirmishing in the shadows of dimly lit emergency lighting could be great ! Plus you could include the option to acquire night vision goggles ? I’m loving the game generally but I’m getting really tired of players being logged in but away from the console and not playing. You can tell straight away because they’re completely motionless. I’m told people are doing this just so they can cycle through games and earn xp without doing anything. It ruins the game for everyone else. This morning I had to leave 3 servers in a row after one game in each as it became evident there was someone doing this. After that I just gave up and stopped playing. Please can you do something to remove people who aren’t active and/or prevent them from earning xp in this way if it detects they haven’t moved. Or perhaps require people to ready up for the next game within a certain amount of time or get kicked? Thanks. Hi there!Thanks for this great game firstcontact!It’s the first worthy FPS game for the sony vr system..Every new game has problems and issues..We know that tou”re going to fix them.Please be a little bit quick with the matchmake..To much problems there..There is allmost not a chance to play normal with a friend..Also when a host leaves take everybody out of the game..I think this it’s a basic problem..It’s a priority! !Thanks for your time.. I am a newbie and have played Firewall Zero Hour for a week now. It’s a great game. But is it only me experiencing problem with my level keeping on reseting? I went up to level 9 once and then all of a sudden I became 2. Even now I keep on recurring between 2 and 4….and not to mention my crypto coins also keep on disappearing too…. But the aim controller keep drifting occasionally, it keep drifting even I play the game in the dark with tv off. Since communication is such a big part of this game, I’m wondering if in a future update you could change it so we could choose an in-game USER ID that is not our PSN ID. Most of the PSN IDs are not user friendly for communicating (with all of the random letters, numbers, etc.). Also, as someone above mentioned, it would be a good idea to require a “READY” check before mission start to make sure that all 4 players are actually there. If someone doesn’t check in, then they get booted.